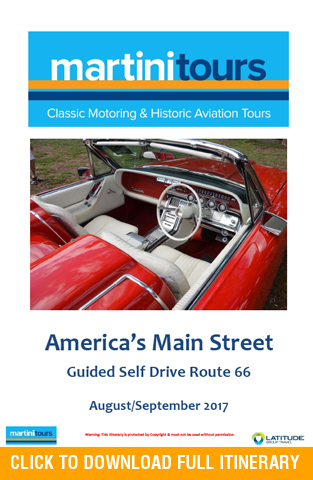 Here is your opportunity to drive the famous Route 66. This iconic road, that maps the growth and culture of America, draws to it those looking for the quintessential American experience. 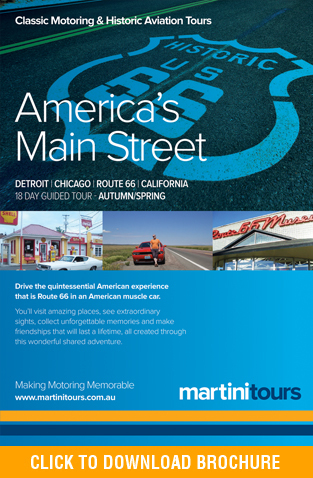 Immerse yourself in Detroit’s motoring and cultural history before visiting many of Chicago’s significant landmarks. Chicago is known for its extraordinary and varied architecture. 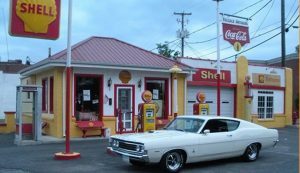 Then take the keys of your personally selected American muscle car (or a vehicle of your choice) and head west! Think Camaro, Mustang or Challenger as you become one with the “Mother Road”. Capture the experience of the American pioneers who have gone before you on this exciting trek across this vast country. This tour offers the flexibility of driving at your own pace whilst enjoying the comfort, company and security of a group experience. You’ll visit amazing places, see extraordinary sights, create unforgettable memories and make friendships that will last a lifetime created through this shared adventure.